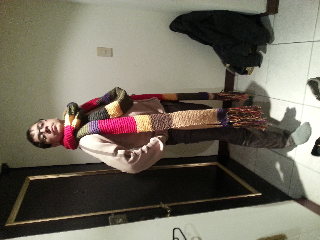 I was asked to make a Dr. Who scarf for a friend for his birthday. He is a serious Dr. Who fan. I of course took the challenge. I found the pattern on the BBC website and cut it short in order for it to be usable. This is him with his scarf.